Post-Mueller: How Will Special Counsel's Report Affect US Political Landscape? The conclusions of the Mueller report were published in the form of a summary on 24 March, indicating that no collusion was found between Trump’s presidential campaign and Russia; however, it explicitly pointed out that the president was not exonerated of other possible wrongdoings. Following the release of the conclusions of the special counsel's investigation, Democrats immediately sought the publication of the full report, suggesting that the public deserves to see it in full. Sputnik asked several law professors why Democrats are so adamant that the report be published, and how it could affect the future political landscape in the US. The publication of the report will provide different opportunities for Democrats and Republicans, Christopher Slobogin, professor of criminal law at Vanderbilt Law School pointed out. Trump and the Republicans will claim that Mueller has exonerated Trump and will use it to accuse Democrats of organising a political witch hunt that wasted government money and amounted to nothing more than harassment. As for Democrats, they, according to Slobogin, will be frustrated by the report, but will still examine it for evidence that obstruction of justice has taken place. They will also proceed with their inquiries along other lines of investigation into Trump's activities. Both Professor Carl Tobias at the University of Richmond and Joshua Dressler, a law professor at Ohio State University, agree with their colleague that Democrats in the Senate and House will continue their investigations into Trump and his entourage. Tobias indicated that the possible publication of the full Mueller report will only assist these probes. Dressler, in turn, stressed that the investigations will continue as long as the Democrats deem it to be politically beneficial. Trump's businesses will also be further scrutinized by the Southern District of New York, Dressler and Tobias both pointed out. The two professors also believe that demands to publish the full report are correct and that American citizens deserve to see it, or at least most of it. Speaking about the reasons as to why Democrats are yearning for the publication of the Mueller report, Dressler indicated that it might only publicly exonerate Trump of some accusations, as it did with collusion, but could also "embarrass" him and shed light on many questions about POTUS' activities, as well as those of his family. "The report could still be damning or, at least, embarrassing, to the President, depending entirely on how Mueller prepared the report. It is still unclear whether Mueller chose to provide only details that exculpate, or did he also provide insight into his thoughts as to questionable behaviour", he said. The professor noted that the impact the report will have on Trump's reputation depends on how Mueller wrote his report and whether he included his own thoughts. According to Dressler, Mueller could have indicated that some actions committed by Trump's family or people close to him were technically legal, but still wrong in the special counsel's opinion. Both Slobogin and Dressler agree that the chances of an impeachment attempt against Trump being successful have diminished following the publication of the report's summary. 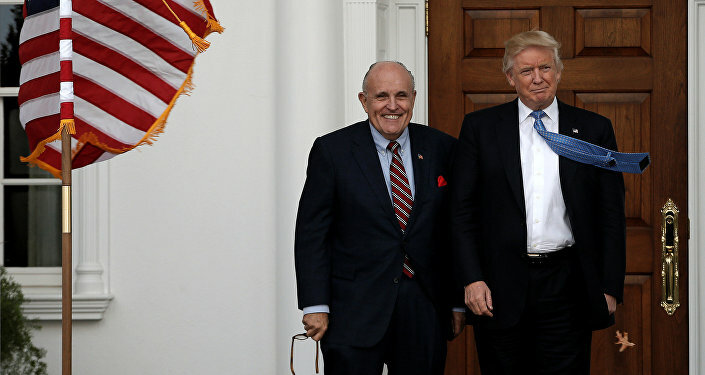 Slobogin indicated that although impeachment on the basis of collusion is now close to impossible, there is still a potential scenario of impeaching Trump for obstruction of the investigation — something which wasn't ruled out in Mueller's report. The professor added that there are also other punishable offences for which Trump has been accused, such as "using the presidential office for personal gain, illegally using campaign funds to pay off various women". Dressler, as well as Slobogin, still considers the chances of an impeachment process being initiated rather slim. Slobogin believes that an attempt would regardless fail in either of the houses of Congress and thinks that the Democrats should forget about it and "focus on their agenda". Dressler is confident that most of them are already thinking in that direction. "Most (not all) Democrats appear to feel that it is senseless to proceed with impeachment since they would not be successful in the Senate. I believe it is fair to say that impeachment is now no longer an issue", Dressler said. Calls for Trump's impeachment first began prior to him taking office, but the first efforts to do so were made in May 2017, after POTUS fired then FBI Director James Comey, which some alleged was for his refusal to end the investigation against then National Security Advisor Michael Flynn. The resolution to start an impeachment process failed in a House of Representatives vote 58-364, and had slim prospects of succeeding in a Republican-controlled Senate. The views and opinions expressed are those of the speakers and do not necessarily reflect those of Sputnik.